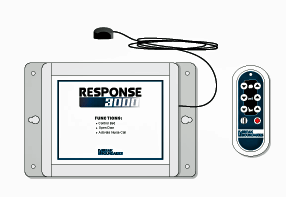 The RESPONSE 2000 is designed to operate an 1) electric bed with the REACH ECU and 2 Wireless Remote. Each controller is custom wired to operate the users specific equipment. 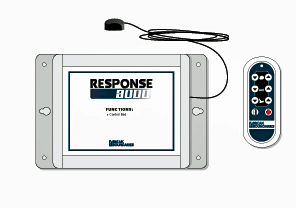 The RESPONSE 3000 is designed to operate an 1) electric bed, 2) nurse call system, and 3) motorized door with the ECU and Wireless Remote. Each controller is custom wired to operate the users specific equipment.